Is Apple's Downward Spiral Inevitable Without Jobs? Is Apple’s Downward Spiral Inevitable Without Jobs? All technology companies experience peaks and troughs. Products come and go, execs get up and leave, consumer tastes change. Just look at RiM and the fortunes of the BlackBerry platform for proof. Apple is just another company, despite the faith shown by the true believers. Which means its fate is one of doom and gloom. With Steve Jobs having departed this thing we call life, I can’t help thinking Apple’s downward spiral is inevitable. It’s a matter of when rather than if from this point forward. With “>Jobs at the helm the company trended up in a big, bold way. With him gone Apple faces an uphill battle not only to remain on course but to remain on an even keel. 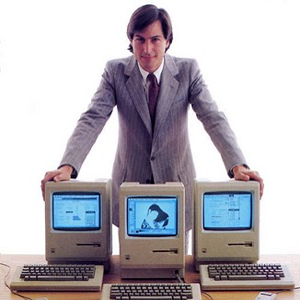 Steve Jobs was the driving force behind Apple, especially after his return in 1997 to the company he founded. Bringing him back was the key decision which led to the creation of some of the best tech products ever produced. But Jobs has now gone. Apple continues on without him, of course, but will things ever be the same without him at the helm? There is no new Steve Jobs waiting in the wings, and that has to be of great concern. If Apple is to experience the same kind of success after the plans Jobs laid out before his death iRead: 7 Books About Steve Jobs All Apple Fans Should Own iRead: 7 Books About Steve Jobs All Apple Fans Should Own We have selected the best books written about Steve Jobs and Apple. These seven tomes provide all the information on Jobs you'll need to know, and a lot more besides. Read More come to an end then someone will need to step up to the plate. Alternatively, several of the execs who now form the top-level team at Apple will have to forge together to become a collective that will somehow replace Jobs. Who are that team, the new mob which collectively needs to fill the gaping void left by Jobs? And are they capable of continuing on the good work begun under Jobs? Tim Cook: The Money Guy – Cook is a young (51) CEO with vast experience under his belt at Apple, Compaq and IBM before Jobs snatched him up in 1998. He’s regarded as the money guy thanks to his former role as COO. Jonathan Ive: The Product Guy – Ive is the man who made the products Jobs envisioned look the way Jobs envisioned them to look. If Apple is style over substance then Ive is the reason. He’s regarded as the product guy because all products go through him before seeing the light of day. Phil Schiller: The Marketing Guy – Schiller is Senior Vice President of Marketing. If a commercial has made you purchase an Apple product then Schiller will be responsible. These men will lead Apple into the future, but they won’t be doing so alone. Instead, they will be accompanied by a group of individuals who have a reverence bordering on religious when it comes to Apple. I know many of you hate the term fanboy, even some of my fellow MakeUseOf writers. But these people (who I have nothing but contempt for), whatever the terminology used to describe them, are the key to the company’s future. Like it or not. As long as they keep buying Apple products then Apple will succeed. But that is far from guaranteed. Even the most vehement supporters of a company or brand can drop them as soon as a better competitor comes along. If the fanboys ever turn against Apple then it’s game over. Those who hate Apple will not suddenly see the light. Those who couldn’t care less either way, and will buy a product based on more than just the brand, won’t buy Apple if the quality of the products suddenly drops. And that, therefore, is the key to if and when Apple’s slide downwards begins. Products have always been the key to the success of Apple. When the company was producing crap the company suffered. When it upped its game its fortunes soared. So it stands to reason that products will be the deciding factor as to whether Apple carries on growing, flat-lines, or starts to shrink back to the levels it was at before The Chosen One returned. Bankruptcy and all. Incremental improvements made to its core product line-up are fine. The iPhone, iPod, iPad, Macs, and MacBooks will continue to sell with little effort from the company. But the test comes when a new product is needed. Apple has been at the forefront of consumer electronics over the past decade. Can it do the same through the next decade without Jobs at the helm steering the company in the specific direction he thinks it ought to head in? I think Apple will fail. In the long term. But so will Microsoft. That’s just the way of things. The crunch will come in a few years time when Steve Jobs’ product progression comes to an end. The decisions made at that point in terms of the direction of the company will forge the future for Apple. Positively or negatively. If you trust Cook, Ive, and Schiller to make the correct decisions then the inexorable slide downwards will be stalled for a few more years. If not then it has already begun, and did so the day after the Jobs era ended and he bid this cruel world goodbye forever. What side of the fence are you on? Do you think Apple will fail? Would it make you happy to see the company go down in flames? Explore more about: Apple, Opinion & Polls. I agree with you. The iPad 3 for example, was very popular (don't know the facts) as far as I know. But me, I couldn't see what made it SO much greater than the last one. I think, Apple are cocky and can't see the quick-sand they're standing in. Me, I love Apple. They make cool (and pretty) products but that doesn't mean I'll buy something that is in fact, not good. I hope not, but their fall seems inevitable. I never got how Apple was so popular, even when Jobs was alive. Sure, many people think they have a better usability, but the price paid for that has never been worth it in my opinion. And even more baffling is the people who buy the same products, year in, year out, to get a few extra features that don't seem to be worth the price tag. I've used Apple products, and I've not been impressed. That's not to say they were bad, I just didn't see what was special about them. And I have a deep loathing for their keyboard, which seems so unintuitive to me. I tend to agree. I appreciate Apple make brilliant products but they cannot justify the price they charge for them. Those people you describe buying the newest version year on year? They're fanboys, pure and simple. So no one thinks Steve Jobs smart enough to find proper people to carry on his legacy? Sorry but don't buy it and LOVE, LOVE, LOVE Apple! It's an opinion piece, as it states in the title. As for "obvious comments," I try to write for the mainstream. Well you come off sounding like one of those "Fanboys" that you claim to hate so much. This article has no substance, you gloss over the fact that Sir Ive has been designing these products for quite a while. While at Apple he has received both a CBE and a KCBE from the Queen of England. Tim Cook is not quite as charasmatic as Steve Jonbs was but he is quite competent to make the decisions. I think you look too much to the fact that Jobs knew how to make his products cool, but I think that's also coming from Mr. Schiller who has been at Apple for quite a while also. A little more research and you could have taken this from the puff opinion piece it is to an actual article with more than troll value. Ive is an important member of the team but he's a designer, not an innovator who knows where the puck is going. And Steve DID know where the puck was going, not just in terms of tech, but also his life. He has set Apple up for the foreseeable future. Not a single company has lasted forever (now you've got me thinking philosophically if time was infinite, it could be possible that the human race never dies out or a company may run forever; that would be a novelty, except you'd never know it). Apple isn't an exception, they will die some day. But they are set up for a long time. No one single person is irreplaceable; we all have talents and skills that set each of us in motion in life, but we are not originals. Where there is one there are always many and where there are many there is a voice. What set people like Jobs and others apart is their heart,their passion and their attitude; this is what is not replaceable. This is what Apple lost at the death of Steve Jobs, but they will go on and they will be inventive. Just like Microsoft has even after Bill Gates retired, Microsoft chugs along with out him. When will society understand that like us there are many and with many we need options. No one has to be at the top or the bottom, why not just have heart and passion and create a better world. Personally I find your article biased, not clear and while there are points its just over all your own opinion and you are free to have it. Thanks for commenting, Greg. I'm actually not biased against the company but I am biased against those commonly known as fanboys who will not hear a word said against Apple. That's a bizarre attitude. I don't want Apple to fail, but I think it's a viable question to ask whether they will struggle without Jobs at the helm. As a 'fanboy' (that you have nothing but contempt for??) having ONLY used Apple devices for the last 30 years (fanBOY?) ... Your article drew me in out of curiosity, but like all my forays into "anti-apple" opinion... It left me wanting. Apple is Steve Jobs greatest creation... More than the individual products... Which there are many still in the pipeline. The new triumvirate is really the old one (as they have been in place for a while) ... So your article is just opinion and conjecture without substance. It is opinion and conjecture, yes, but it isn't an anti-Apple article. I'm afraid I do have contempt for fanboys of all flavors. Why would anyone nail their colors to the mast of any tech company rather than seek out the best products on an individual basis? You're entitled to your opinion that this is a terrible article which demonstrates everything that is wrong with Internet journalism. But meaningless? The fact it prompted you to write such a comprehensive response suggests otherwise. I wouldn't say I'm biased against Apple. I dislike fanboys, but then that goes for fanboys of all colors. Companies undergo an inevitable change whenever their iconic founding member passes on. 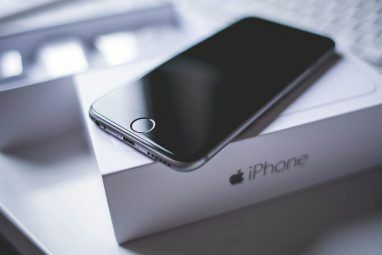 In the case of Apple, whether this leads to a decline, transformation or being absorbed into something totally different, is as open a question as your opinion. I would however say that Apple will continue to thrive in some recognizable form due to the inherent quality of its tech assets. That is something very few of its peers can match. Apple will survive, no doubt, but at the same level as it has for the past decade? I have never seen such a turnaround as Apple enjoyed under Jobs' second stint in charge. That is surely unsustainable without the big man at the helm. Jobs foresaw his death. He wasn't stupid. Yes, companies that lose their visionaries change if the visionaries don't do anything to stop it. But you know what? Visionaries see the future. They know how to make things happen. Jobs made a mistake the first time round. I would think that he would learn from his mistakes. He has hired a top team for Apple. He has placed it in the right hands. There is even an Apple university, which teaches people how to take over Apple when the current CEO dies. There will be many who will be at Apple's helm. They will be trained (brainwashed?) to lead Apple to the future. The fact that he had cancer caused Steve to be very cautious about who he hired and to think of a way after he was gone. I think Scully and cancer were both wake-up calls to him. I do dislike the "fanboy" word. There is no clear-cut definition that I know of, so anyone can use it to call anyone they want a "fanboy". How about people who love Apple, but would never defend them if they did something they disagreed with? Supporting tech companies is IMHO the geek equivalent of supporting a certain sport team. It's entirely normal. Sure the purpose of the sports industry is to support teams, but then again the purpose of a piggy bank is to store change, yet people use jam jars to store change after using it for its primary purpose. I hope that makes sense. You raise some great points, Nutz321. As forward-thinking as Jobs may have been his death still leaves a void in terms of steering product development. The trio who are now in charge can obviously run the company between them, but can they do what Jobs did? I classify fanboys as those who only buy products from one company and who defend them to the hilt no matter what they do. Someone who just owns Apple products is by no means a fanboy. After all, most of us own at least one. People have been predicting the demise of Apple since they launched the PC. Hasn't happened yet, even though they got close once. You haven't really brought anything relevant to the discussion here not even declaring contempt for what you call "Fanboys" is new or refreshing. I enjoyed this article very much because it poses a question many apple fans (fan boy or not,) wish not to ask. I beleive this is a situation as you mentioned in a previous comment, similar to Microsoft, except there are different factors at work. Microsoft has been in steep decline compared to its prime with the loss of bill gates, however it has staled considerably due to the fact that until the recent trend in hardware, windows OS was the only thing 95% of the world ever knew. This gave Microsoft plenty of time to reinvent itself, but it still has not to this day. 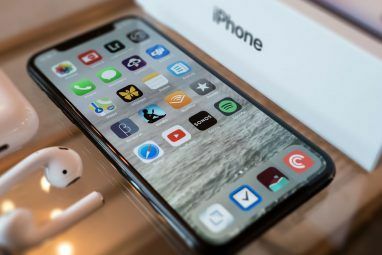 The issue apple faces, while similar is has the potential for a much quicker downfall since it is primarily a hardware company which deals in markets with high turnover of hardware. PC's are replaced every year, but windows OS was still on the new hardware, iOS is a secondary feature after the hardware. So as you state, without new ventures in unexplored markets, it is very likely Apple will turn downwards. I would not necessarily be happy if Apple failed, but now that Jobs is gone, I could care less. 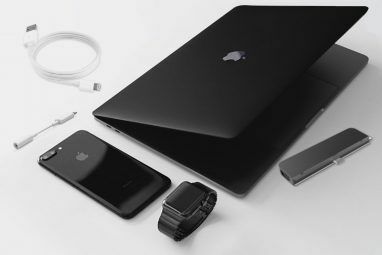 I have never like apple, or most of its products, however I will miss the drive that the company had under Jobs that led the entire industry to innovate at rapid speeds. I fear a slowing in advancement without Jobs' Apple. If the company turns into a stagnant model where they simply produce hardware upgrades, than the entire industry will stall. Without a singular enemy, then the need to innovate is gone, just think of the competition against Microsoft when it was in its prime. without that 'bad guy,' innovation slows considerably. That is what I fear. You make some great points, Abstracting. Either Apple will have to make iOS much more of a core product that can be used on other hardware, or keep innovating in the hardware department. But is there anyone other than Jobs able to do the latter? I find it intriguing you cared more about Apple with Jobs at the helm than without. I wonder how many others think the same way. Lol, what a Hillarious piece of troll bait! I <3 it!!! No, you pose a question and then take a view you know will annoy the "fanboys" to get as many comments as you can. On top of that, you make it easy to debunk your claims to maximise the chances of a "fanboy" commenting, just because they think, "this looks like an easy argument." Well played, sir! Well played! Not looking for an argument, but a healthy debate is always fun. It's clearly a subject worth debating. You would say that wouldn't you? Like I say sir, well played! Well played, indeed. I don't want to see this company fail, but it is inevitable without a leader that truly loves what he does. Steve Jobs was that kind of leader and there aren't many more like him. I don't think Cook is up for the job, but hopefully Steve's choice for a CEO was a good one. I agree. Love him or hate his Gates is/was also that kind of leader. I just don't see Apple innovating from here on in to the level they have done over the past decade. There are companies with 100's of product and make less revenue and Apple has few products and make billions. But will slightly improved versions of the products it sells now be enough to keep Apple at the top?